Heading High potency formula for high-energy lifestyles. Directions For adults and children twelve or more years of age, one caplet daily with food or after meals. Store in a dry place 59-86 degrees F (15-30 degrees C). Uses Now AllBee Plus Vitamin C includes folic acid and biotin for a more complete B-complex to provide optimum energy producing benefits! Researchers at leading medical institutions have demonstrated that an intake above the recommended daily values of folic acid and vitamin B6 may help maintain low homocysteine levels. The AllBee Plus Vitamin C high potency formula now contains the high levels of folic acid and vitamin B6 needed to break down homocysteine and support a healthy cardiovascular system. * Your high-energy lifestyle can deplete your body's reserves of certain vitamins and minerals. AllBee with C works to restock your body with important nutrients, including: B-complex vitamins: Aid in converting food into energy. Help cells function normally. 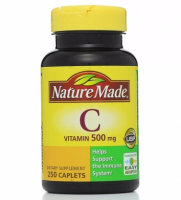 * Vitamin C: Promotes cell growth and repair, while serving as an antioxidant. * Gluten-free. Warnings KEEP OUT OF THE REACH OF CHILDREN. 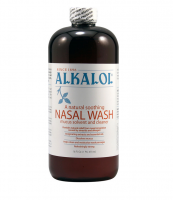 *This product is not intended to diagnose, treat, cure, or prevent any disease.